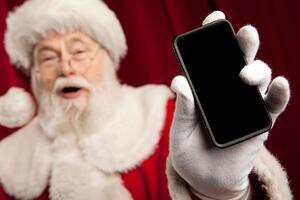 This holiday season, many kids have only a single item on their wishlist: a new device. But buying a smartphone, tablet or laptop is a big decision for parents. How can you be sure you're making the right one? First there’s the question of age. Is it even appropriate for children below high-school age to own their technology? What do the experts say? Young children owning their own mobile devices “is the new normal.” That’s the conclusion of the Royal Melbourne Children’s Hospital, following an Australian Child Health poll that found two-thirds of primary school kids and more than a third of pre-schoolers own their own mobile device. The ACH poll found two-thirds of primary school kids and 36% of preschoolers now own their own mobile device. As for Australian teens - if yours tells you “everyone else” has one, turns out that may literally be true. Only nine percent of Aussie children aged 14-17 do not have a smartphone, a 2016 Roy Morgan survey found. So what is the right age for a child to get their own device? Possibly, a bit earlier than you may have thought, according to Family Zone cyber expert and ySafe psychologist Jordan Foster (but definitely not this young!). She maintains that when children are given their own device earlier rather than later, there’s an opportunity for parents set firm boundaries and enforce rules. Waiting til kids are older may seem like the right decision, but they will almost certainly be more resistant to restrictions. Younger children tend to see device ownership as a privilege, not a right. And that’s an attitude parents can reinforce - and leverage. Plus, if children start out their technology journey with strong parental controls in place, it creates appropriate expectations about safety and responsibility that will continue into their high school years. Foster’s fellow cyber expert Dr. Kristy Goodwin, a child development specialist, urges parents to consider children’s social and emotional development as a first priority - not chronological age. “It’s difficult to prescribe a precise chronological age when it’s safe and/or appropriate,” says Dr. Kristy. “I recommend delaying the decision until you feel your child is emotionally mature and responsible. Remember, your child may be tech savvy but they make lack the social and emotional skills required to safely use the device. Do they, for instance, “understand the permanent consequences of posting a photo online, or sending a message?” Dr. Kirsty asks. This is especially true when it comes to smartphone access. Most tablets and laptops are “mobile” but most require a WiFi connection. Because of this - and also because they are bigger and bulkier - they tend to be used either at home or at school, under adult supervision. A smartphone, on the other hand, will literally go everywhere with your child - and of course most come with a data plan that means connection anytime and anywhere is possible. Giving your child a smartphone is giving them a powerful communication tool that does so much more than make and receive phone calls. With a phone, they can also create and receive text messages, images, and videos - “and these can be easily and quickly distributed online, screenshot or uploaded onto other websites. “You’re also giving them a device that can access the Internet anywhere, anytime - unless you use parental controls like Family Zone which can restrict what kids can access and when devices are used. Assess your child’s emotional maturity. If they’re not ready to understand privacy, empathy and cyber safety risks, they’re probably not ready for a smartphone. If they’re not brilliant at looking after their belongings yet, they’re probably not ready for a smartphone OR a laptop. Consider a tablet instead. Consider a smartphone at a somewhat younger age - around 10 to 11. This can be a critical period for children to accept parent-managed access without question or complaint. Make the gift of a new device a teaching-and-learning experience about digital citizenship, safety and wellbeing. Set up firm rules about how, what, when and where the device can be used. A written contract that sets out your expectations, and your child's responsibilities, is the best first step. Family Zone has created a great one you can print at home. Download it here. 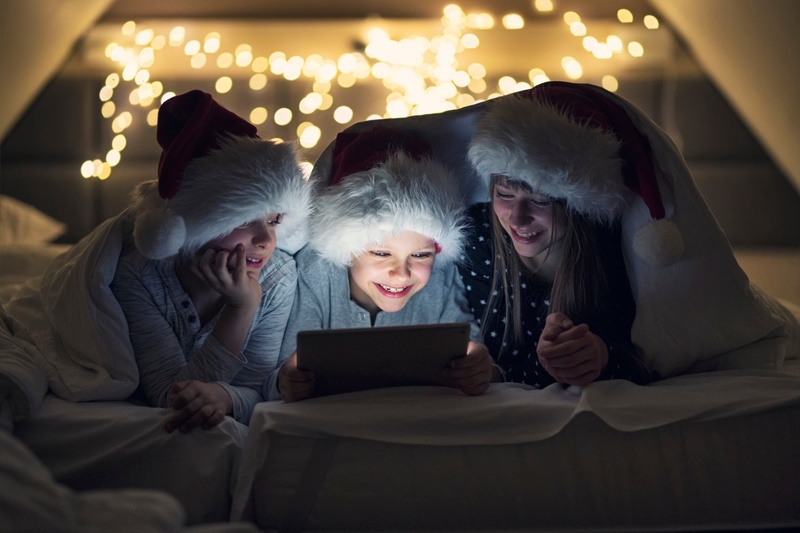 No matter what device you choose, be sure to put strong parental controls in place to filter inappropriate content, restrict social media and games, and set bedtimes and playtimes. Or - if you’re purchasing a smartphone - consider the FZ ONE, the only “real” smartphone for kids with Family Zone controls built right in.